Valproate is currently prescribed to women in child-bearing years for the treatment of neuropsychological disorders and epilepsy, but according to a study published in JAMA’s April 24th issue, Valproate may be linked to increased risk of autism. The study was completed by researchers in Denmark. Researchers utilized national registries in Denmark to collect information on more than 655,000 children. Of those children, 5,437 were diagnosed with ASD (autism spectrum disorder). More than 2,000 of those children were specifically diagnosed with autism in childhood. 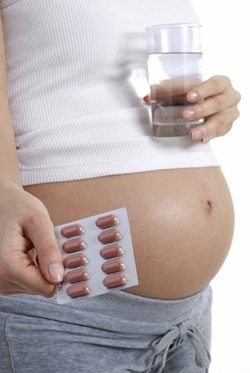 Children exposed to valproate via maternal medication intake accounted for 508 of the cases. These 508 children had a 4.42% risk of developing ASD and a 2.5% risk of developing autism in childhood. When researchers separated children born to mothers with epilepsy, 432 were exposed to valproate with a 4.15% risk of developing ASD and 2.95% risk of developing autism in childhood. When these numbers were compared to children never exposed to valproate, there was a clear separation. Children not exposed to valproate were at 2.44% risk of developing ASD and 1.02% risk of developing autism in childhood. While the percentage difference between the two groups looks relatively small on paper, the increased risk is clinically and statistically significant. Children exposed to valproate were at increased risk of developing ASD and autism in childhood in both the epileptic and non-epileptic maternal groups. The increased risk was still prevalent in children born to mothers who had stopped using valproate prior to pregnancy. Researchers believe there is a significant connection between valproate use before and during pregnancy and risk of ASD and autism in childhood. Alternative therapies for women in their childbearing years should be evaluated to reduce the risk of autism. Source: Jakob Christensen, PhD; Therese Koops Grønborg, MSc; Merete Juul Sørensen, PhD; Diana Schendel, PhD; Erik Thorlund Parner, PhD; Lars Henning Pedersen, PhD; Mogens Vestergaard, PhD. Prenatal Valproate Exposure and Risk of Autism Spectrum Disorders and Childhood Autism. JAMA. 2013;309(16):1696-1703. doi:10.1001/jama.2013.2270.